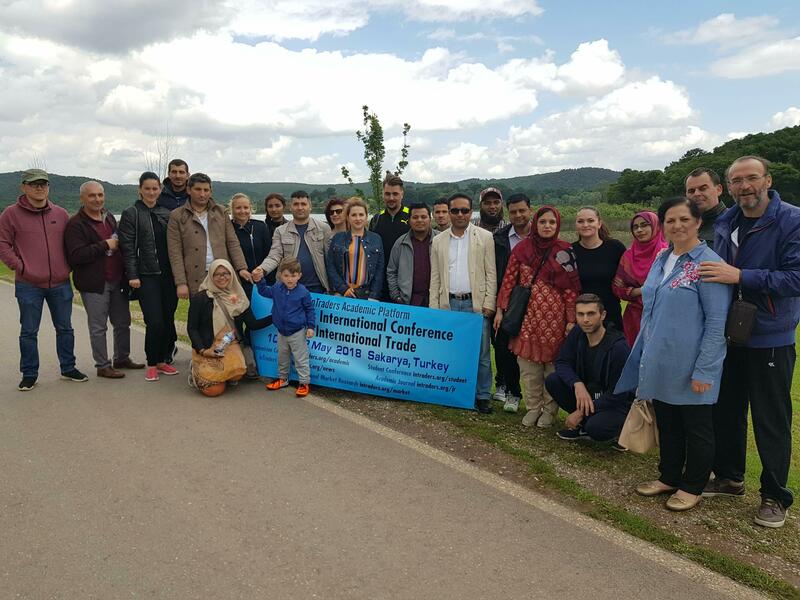 From my point of view, as both conference secretary and author, the InTraders International Conference on International Trade (10-12 May 2018, Sakarya, Turkey) has been a real success. The conference was at its first edition, so the challenges were even bigger. It was aimed to have participants from abroad (non Turkish) and also local ones; the foreign authors were more numerous than the Turkish authors, which stood up as a strength for this scientific event. Countries like Pakistan, Kazahstan, Greece, Romania, Macedonia, Indonesia, Poland, Kosovo, Congo, Azerbaijan, Kirghizstan etc. were represented at the conference by enthusiastic researchers and professors, who shared their interesting and well documented papers belonging to different areas of study. Moreover, the conference had secretaries from different countries, proving that the openness of the conference had no boundaries. The papers were presented in turkish or english within different sesions, which could be freely attended at Sakarya University’s Conference Hall. Third activity was Istanbul Program. 8 people took place in Istanbul Program. InTraders managed Galata Tower, Hagia Sophia, Closed Bazaar, Egypt Bazaar, İstiklal Street, Taksim, Bosphorus Tour. It was nice memorable days. These activities were meant to connect all the participants and be the milestone to further collaborations between researches, professors and universities. The papers will be published in a journal and the abstracts in the Abstract E-book. We combined business with pleasure and made the most out of InTraders International Conference. All things being said, InTraders 2018 has made a big step towards continuity and significance as an international scientific event, given its 1st edition accomplishments. I whole-heartedly invite you to apply for the Student Conference, if you are a master’s degree or PhD student, because it will be a worthwhile experience. I was born in Craiova, Romania, in 1989. I graduated from the Faculty of Economics and Business Administration, where I studied Finance and Banking. In 2016 I took my PhD in Finance and started teaching as a Graduate Teaching Assistant in the Finance, Banking and Economic Analysis Department at the University of Craiova. My research interests are related to finance, but open to a multidisciplinary approach. I coudn’t agree more with the writer. I got many experiences during the conference. It was a pleasure to be part of InTraders conference. Wish that InTraders will have a more successfull event in the later. Yes I am agree with the writer, it was a nice experience. it was pleasure to meet many academician from different countries. we enjoyed a lot our Istanbul trip. Thanks Mr Kursat for organizing a wonderful conference. I wish Intraders will face more success in future. I am also encouraging students to apply for upcoming conference that will be held on 4-6 October 2018, deadline to apply is 30 May 2018. Right from the start, InTraders Conference has been an International conference, established with enormus efford and organization. It represented an incredible place to meet and network with academicians and reseachers from different countries, demonstrating academic and scientific relevancy. In this regard, I must emphasize it was a conference with great topics, presentations and priceless networking opportunities. And Yes, as a reseracher I am really looking forward to attanding the next conference – great staff in every corner. Well done job! I am grateful for all those who were part of this InTraders Academic Platform Conference, First Academic Conference from May 10 to 12, 2018. All played a role to make it a successful and meaningful event for attendees, presenters, volunteers and speakers. I want to congratulate Mr. Kursat and the team for creating a very stimulating and successful conference. I got a lot: excellent contacts, discussions and research work from Pakistan, Macedonia, Indonesia, Kosovo, Azerbaijan, Uzbekistan and Turkish papers. Everything was very rewarding, thanks for including me. I would say that the conference was “Well organized, of good scale, solid content in presentations and a very welcoming atmosphere and country, delicious food and beautiful places and people.” It was overwhelming, and I felt as if I had come home. I want to thank you for a very professional, informative and nice conference. I really want to review the presentations online because there was a lot of information to learn. In the end I would say that I want to visit again in upcoming conferences. Students, scholars and academicians must join in http://www.intraders.org/student. One of the best experience i ever had in my life, meet so many professional, researchers and students. In Traders is the platform for Academia and industry where they ink to each other and give the best solutions to world. I also huge thanks to Mr. Kursat and his team did for this amazing conference. Good Luck for upcoming conferences……. It was an honour for me to be a part of this wonderful conference. Had an amazing time with the team, especially with Mr.Kursat. Best of luck to him for all the future confrences. Being a part of InTraders International Conference and presenting our research paper on such a great platform was a wonderful experience. Mr Kursat was exceptionally helpful and cooperative and we are thankful to him for all that he did for us. The two days spent at University of Sakarya helped us to a great extent, in terms of knowledge, exposure and self confidence. It was an honour to represent our work internationally and be a source of pride for our parents. All the best wishes for future conferences.